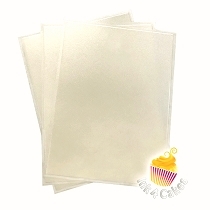 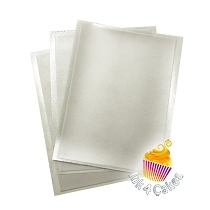 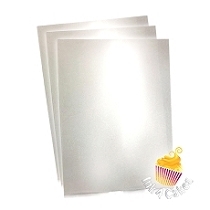 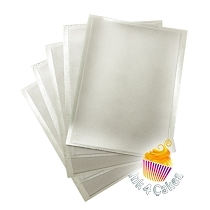 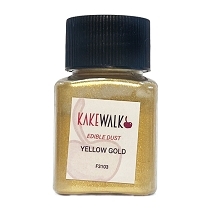 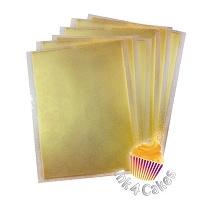 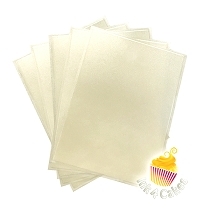 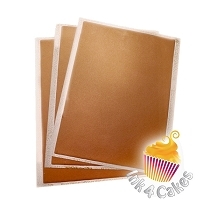 Give your cakes a little pizzazz with this glamorous shimmer frosting sheets . 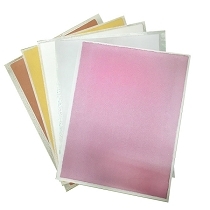 Incredibly flexible they make perfect companion for your cutting machine and edible printer. 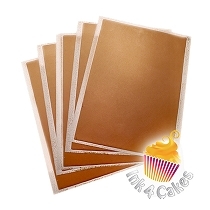 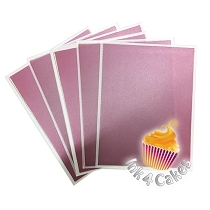 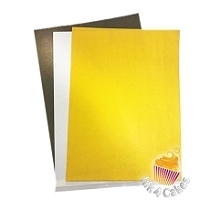 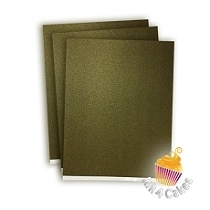 Metallic looking when needed if printed with dark tones or soft and warm printed with light earth tones this icing sheets will give your cakes bling bling expensive look with any style , traditional or contemporary. 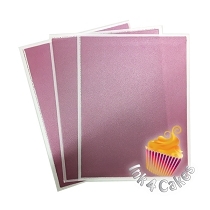 Fun and stylish, add them as finishing touch for any occasion . 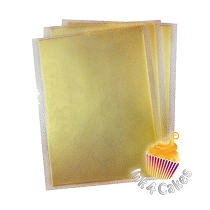 Available in gold , silver , bronze and pearl.